Don't think this post is just for the creative people. It's actually more focused on people who pay for creative work. I want you to get the best work for your money. I've been a writer at 4 agencies. I've freelanced. I've been a creative director. And now I manage a team of writers. And the 1 thing I know we do wrong isn't about the final product. It's about the process. How can "non-creative" people make creative work better? The process isn't defined. We have a process for lots of things--and we reinforce all the steps. You don't publish until you receive feedback from all stakeholders. Don't release the new product until you've done user testing. But what about creative work? Nine times out of 10, there is no formal process. That's because 9 times out of 10, we're in a huge hurry. Creative work isn't seen as a professional speciality. We have MBAs. We have lawyers. We have golf pros. Those people are respected as experts and are relied upon to do their jobs well. But writers and art directors aren't always seen that way. They are seen as finishers--not creators. They are at the end of the process--not the beginning. But that's changing. And companies like Apple. McSweeneys, are leading the way. We stop at our first ideas. If we worked on the first two solutions, we'd avoid this problem altogether. I ran across this poster on Pinterest, and I stopped cold on "first insight." Most of our creative timelines only allow enough time to get there. But if you look at the poster, that's the first step of 6. So, if you give a creative team 2 weeks to come up with *the* idea, you might get to step 2 (saturation) or 3 (incubation), but you really need to get to other insight--the point where a connection to something completely original is made. THIS IS THE #1 PROBLEM WITH CREATIVE WORK TODAY! My very rough suggestion is to allow three weeks for the first 4 steps. Then allow 2 more weeks for more ideas an insights to flow. Don't be afraid of how much time it takes. That's the biggest obstacle to creative work. You might find things happen faster, but you must allow the process to happen. Whether your goal is to sell more software or advertising, you need to get focused on your core audience. If you haven’t already, answer these questions and make sure your entire content marketing team pastes them to their foreheads. Who? Who is the audience for each piece of content (fill in the blank, i.e., blog)? Who is the specific buyer persona you are targeting with this platform? Replacement factor? If you didn’t provide this kind of information for your audience, would they care — or notice? Could they find the information elsewhere? Is what you are saying really that important? That's the title of a post on Ardath Albee's blog called Marketing Interactions. You should read it because it describes a situation marketers find themselves in often. And I think it helps to see a specific relevant example (a B2B marketer selling cloud services) of how to be a hero for our customers WITHOUT mention our products right off the bat. Too often in our content, the first two words of the first sentence in our content are "company name." Worse yet, we put product names in the title of our content. Instead, try taking the product name out of the introduction of your content. See how you're talking about the solution--not the product? Everybody has good ideas. It's how we package them up that matters. I attended a great conference in Orlando. SiriusDecisions is a corporate consulting group focusing on aligning corporate and product marketing with sales. They're famous for their "frameworks." All of their researchers and subject matter experts package up their best thinking into a capsule that has an interesting name like Messaging Nautilus--and the story is told graphically--with real density. And these "frameworks" are meant to last longer than a blog post or tweet. They're durable approaches to marketing that are updated over time. I know a lot of businesses package up and name their approach to creative work or marketing. But I'd love to see even more of their thinking. What are your fundamental beliefs and how can you build them out into a framework that others can use? You probably have pieces of ideas spread out in presentations or notepads around the office. You've just never congealed them into a structured, repeatable approach or robust insight. The short answer is, "Yes," according to management consulting firm, McKinsey & Company. What does "talking past" our customers mean, exactly? McKinsey defines it as: "a marked apparent divergence between the core messages companies communicate about their brands and the characteristics their customers value most." So what do B2B customers value, and how can we connect with them? 1. Open and honest dialogue - Could open and honest conversations start with our corporate executives? Or with sales? Can we demystify our industry for our customers? 2. Act responsibly across supply chain - We have a strong ecosystem story. Are we telling it well? Is there another supply chain story we can tell? 3. Has a high level of specialist expertise - We have this in spades. How can we ensure our specialists voices are heard beyond the community? 4. Fits in well with my values and beliefs - We stand for choice, freedom, and value. Do these values align with our customers' values and beliefs? Other values are providing a broad product portfolio, and being an industry innovator. And a huge problem with B2B companies is that they play the "me too" game and don't differentiate their brand. Does your sales force say it is facing headwinds? Have an honest dialogue with your sales staff. If you hear about consistent pushback on pricing or an inability to articulate a compelling argument for the value of your products, you’ve got a problem. Do you deliver your brand in a consistent way? If anything, today’s increasingly fragmented environment calls for a more disciplined communication of values and messages across a wider range of channels, including some quite traditional ones, for a longer period of time. I've learned a lot from this article, and would love to know what you think. Forrester and the Business Marketing Association surveyed B2B marketers and found that their budgets will increase by 6% in 2014--but budgets are still not back up to pre-recession numbers. Prioritizing regional or industry-specific events over big shows. Events should create opportunities for prospects and clients mingle with executives, key partners, and thought leaders. Content - Very relevant to marketers who are trying to make content marketing programs stick. Not for beginners, but not so advanced that you feel like a loser who's behind on every level. Time - Time is our most valuable possession. This is a one-day class, so it's an easy day trip. Focus - I felt like I got enough info without being overwhelmed--and it was the right info for me. Also they gave us an exercise at the beginning of the class, and asked us to build on it all day. So we had something personal to show for the day away from our desk jobs. The top Meaningful Brands outperform the market by 120%. The best case for storytelling I've seen in a long time. We wanted to start to tell a story that would take a long time to tell. We were creating a sophisticated, multi-layered story with complex characters that would reveal themselves over time. The audience wants the control. They want the freedom. I can't tell you how many people have stopped me on the street and said, "Thanks, you sucked three days out of my life." It's just story. And the audience has spoken. They want stories. They are dying for them. They are rooting for us to give them the right thing. ... All we have to do is give it to them. Remember, you're a customer, too. If you're like me (and a lot of marketers), you do a ton of online research. And, sometimes, you don't quite know what you're looking for. But something catches your eye, like a new article about smart phones, running tips, or travel trends. Next thing you know, you're buying a new phone or booking a trip. I'm a marketer--I sell stuff for a living. But I'm a customer, too! Just because you're a marketer doesn't mean you can't (or don't want to) be sold something. Just because you know all the tricks doesn't mean you're immune to nurture. Consumers are hungry for more relevant content experiences, and some want a deeper experience with their favorite brands, which would drive consumption of brand-related content within social channels. Think about your favorite brands. You don't want to hear from them as a marketer, you want to hear from them as an expert in their field. You want them to believe so much in what they're selling that they don't have to act like a barker at a carnival competing for slim margins or selling via spectacle. So, when you're writing, remember, you're not selling features and benefits (Smaller! Easier! Faster!?!). You're selling your expertise. You're a guide in the all-too crowded marketplace of cloud and business IT. You're giving people relevant insights in return for their time. It sounds like the Golden Rule, but it's true: Sell to others the way you'd like to be sold. One of my favorite writing resources, Copyblogger, made a solid argument for using common, everyday language in our marketing materials. Turns out, writing like people speak is actually a good strategy for search. Product features and benefits are obviously important. But our products solve business problems, and if we address those (clearly and plainly) in our online content, we will capture a larger share of search. So when you're writing for the web, read what you wrote out loud. Does it sound like something you would say to a coworker or customer? If it doesn't, reword it so it sounds more conversational. That's optimized content. There are some designs that are so interesting, our brain makes us instinctively reach out to touch them. This melding of science and design reminds me of an article I read about how Angelina Jolie's (obvious) beauty is also scientifically proven to be appealing to humans--something about the distance between her eyes and symmetry in her features. If you're interested in the science of design, the New York Times published a post in their Grey Matter column called "Why We Love Beautiful Things" by Lance Hosey, chief sustainability officer of the architecture firm, RTKL. The article covers fractals, and if you've explored them at all, you'll realize that nature buffs and mathematicians alike can agree on the primal power of repetitive and seemingly perfect shapes and patterns. I worked with a designer who created a logo based on fractals, and it was an incredible success. I'd venture to guess that one of the most common causes of burnout in creative fields is the lack of objectivity. That's why it's critical that writers, designers, and their advocates collect this type of scientific ammo that can be used to guide discussions about creative work toward a more objective solution. Also, what you might consider instinct is actually the product of years of study and analysis. So if you find a solution to a problem in minutes, that doesn't prove that the creative process requires less time, it means your constant study of your craft helped you get to a solution sooner. You did the time, you simply got a head start. Also, you might want to paint some rooms green! Are taglines still useful? Or are they crutches we lean on to explain what we really mean? Are they relevant to today's more conversational style? Or are the even more needed because we can't retain a phrase or idea that's longer than 8 words? Should they even be called taglines? When done well, taglines are quotable. They're memorable. And they're defining. When done poorly, they're a bad bumpersticker that you can't just peel off. Some people I respect hate taglines. Another person I respect encouraged me to take an online tagline writing class taught by McKinney copywriter Jenny Nicholson. No matter whether or not they're used well, taglines are very much with us, and writing a good tagline is still an art I'd like to practice. This is like a core workout for writers. We will whittle away the fat to reveal smooth, rippling short phrases. Distiling ideas into lyrical, foreshortenend language reminds me of writing poetry, and I believe that's what good copywriting--and tagline writing--can sound like. 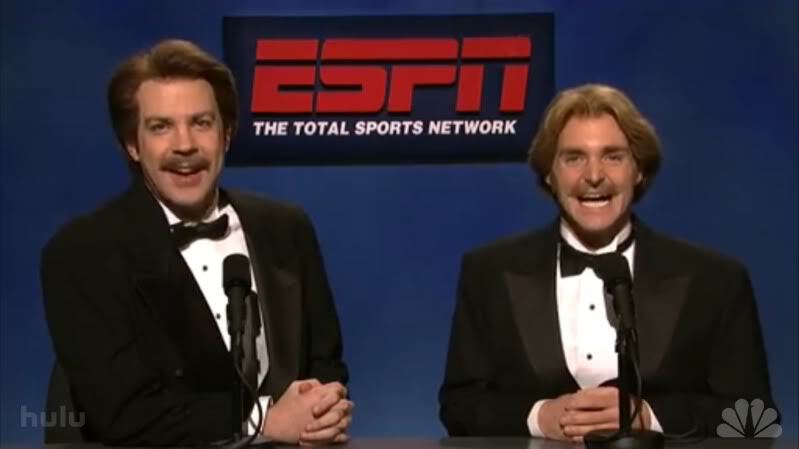 This Saturday Night Live Vagisil skit might make you believe in taglines again. I've read these two books in the last couple of months--both because the movies were coming out, and because I'm fascinated with the big-screen adaptation of novels. I came to Pi a little late. Just like my experience with Cloud Atlas, I wanted to read the book before I saw the movie. Both novels affected me in similar ways. They present a perspective on death via different approaches to life. E.g., you can live life this way, or this way, or this way. Each approach has a different outcome and defines the ease with which you approach death. This is the kind of stuff I tend to chew on for days. I love the way both Atlas and Pi stick with you. I bring them up in conversation with friends, and--more importantly, they change the way you approach your own life. That's good writing! I definitely related to Pi's religious leanings. If I had the exposure he did to all of those religions at his age, I like to think I'd adopt them all like he did. Author Yann Martel spends a lot of the book detailing how Piscene's generous spirituality and the world's religions were at conflict with one another. Pi embraced (and attempted to survive) life and death through religion. I love the peace and strength religion and spirituality gave him as a teenager. There are so many lessons in this book and all its rich characters. I have a feeling I'll be learning from it for years to come. It is a book you could re-read over time. I loved the unreality Pi brought to his all-too-real story. For me, it represents how spirituality can infuse your life with a higher purpose or lift you out of the mundane into a more soaring, magical existence. But you have to believe, and not everyone can. That's why they call it a leap of faith. The act of leaping = the act of letting go. It reminds me of a clip I saw on Inside Edition. (Stick with me here--it's actually a sweet story.) A father was losing his son to cancer, and he said his little boy's last words were "God needs me more." Whether that's true or not, I love that the child felt he was leaving one father for another. That's the peace that Pi had because he accepted religion full force. Not proselytizing here. Just observing. Everyone has an opinion, but I'm looking for the things that each of these articles have in common. They'll be the items that work the hardest toward creating an effective messaging document. Here's where the story gets interesting. I came to Red Hat because I experienced their culture and brand outside their offices--in the wild. Actually, from a distance, I had always admired their focus on design and clear, no-nonsense voice. More recently, I experienced the open source way first-hand as a member of the board of AIGA Raleigh. The group's president at the time was an ex-Red Hatter and passionate open source advocate. Transparency and inclusion were at the center of everything we did. I fell in love with this type of workflow, and joined Red Hat after I found I was a pretty good fit in this kind of culture. How many times have you experienced a company's culture outside the company walls? Do you even consider culture when you interview for a job? I'll let you know how it goes. This should be an incredible journey. I'm not sure if I can be more engaged with my town than I am right now. A few months ago, I was asked to join a technology task force created by the town of Cary. For the last few months, we've met bi-weekly to help the town map out a plan to use technology to better serve citizens. I am in charge of exploring citizen engagement for our task force. Actually, if you think about it, citizen engagement could be an umbrella topic covering most of the items in the list, above. Because that's true, i stayed very high-level in my research, focusing on creating a brand, focusing on specific goals, and ensuring the town follows through with feedback to the citizens they engage. If you're familiar with sunshine laws, you'll know that some of what we're doing with out task force might be considerd groundbreaking. I know it is for the town of Cary. I mentioned before that our time is short with this project and we need to make progress quickly. Also, most of us are used to deliberating or sharing information over social media, etc. We are ued to sharing ideas with our social circles and the public at large. Sunshine laws in our state prohibit us from deliberating outside of our sanctioned meetings. And those meetings have to be publicized in advance so the public has time to make plans to attend. So, if someone found a great article about an effective engagement tool or an incredible research resource, they'd have to save it until our next meeting. We immediately started using BaseCamp to post some of this information. At least we could share it with others even if we couldn't discuss it. That wasn't really enough, though. We also wanted to get the public's opinion, but BaseCamp is definitely not a tool for that kind of engagement. And using our own Facebook or Twitter accounts to conduct research also didn't work. So, we created something that I'd been researching as a citizen engagement tool. I have been looking into sites like MyStarbucksIdea.com and SpeakUpAustin.org as examples of focused ways to use a website to push and pull information publicly. I know it seems obvious, but the sunshine laws hadn't really been challenged locally before we started asking questions.Now we have a Wordpress blog where TTF members can post ideas and ask for citizen feedback (we can't deliberate in the comments section, however. So TTF members have to refrain from posting anything in the commnets that sounds like we're making decisions on something outside of our regular meetings). I've written a few posts for the blog, and people are reading them and responding. We also decided to open our meetings to the public. From now on, all TTF meetings will be broadcast via WebEx. And we've already gotten several folks who call in to watch the meetings in progress. We've made so much progress, but there's still a lot to do. I definitely feel the pressure to get it right since I'm representing the citizens of Cary. Stay tuned! A few weeks ago, I attended my second roundtable discussion in Durham hosted by Orangutan Swing. (My first is covered here.) The beauty of their talks is that they gather people together without imposing a strong agenda and allow conversations to surface naturally. They just asked us to bring a personal totem and to be prepared to talk about work [or, to be more specific, they asked us to talk about "(re)Work".]. We don’t normally find a solution, but that’s not really the goal. The process is what’s fascinating. Meeting the person sitting next to you. Seeing a table full of totems. Talking about work with total strangers. Finding sometihng in common that surprises you. The "see no evil" monkey in the middle of the photo, above, was one of the most popular totems. It represented different things for different people: anxiety over a new job, the pressure of starting a new business or the fear of leaving behind something familiar for something more undefined. During the course of the conversation, we realized that change has set up permanent shop in our lives and our workplaces. Your work environment directly affects what you do. We were sitting in a circular assortment of office chairs in Bull City Coworking, a new space that has high ceilings, lofts, closed meeting rooms and lots of light. We wondered what would happen to workers in a bank or investment firm if they moved to a more open, space. Would they panic over loss of privacy? Would they collaborate more? Would their pecking order and hierarchies become less important? We’re not adapting to change, we’re aligning with it. I loved this quote. Change can be really overwhelming. And it can make you feel powerless to stop it. The truth is, you are. Aligning yourself to change can be as simple as having a focus and sticking with it. When change happens, you only need to pay attention to how it affects your focus. When you are aligned with change, you aren't resisting it. And you aren't getting left behind, either. The more diverse the group, the more you find you have in common. This is a really good message for writers. We are typically given lots of research and target audience data and we sift through it for insights. I think we were pleasantly surprised to find common concerns or beliefs in our group. Our differences bring out nuances in writing. But our similarities are the real foundation for creating. Thinking about it another way - the process of writing is the process of giving. And when we give, it helps to know what people actually want. Most people want to be respected, liked, challenged, informed, entertained and inspired. That's what we have in common. The nuances of the way we do that come from our differences. Looking forward to the next roundtable. Where does your career really live? We know work isn't everything. It's not even the best place to grow your career. And work is just temporary, these days. What falls in between is sometimes where you really live--what lasts beyond your last job. I know this is true for me. I wrote a blog post exploring the idea of your "professional home" for AIGA Raleigh. You can read it here. I'd love to know what you think. The day I started writing that article, I read a post on Facebook by my old Brandcenter professor, Jelly Helm, about Quaker writer/educator Parker Palmer. I looked Palmer up, and found the following quote, which I decided to use at the outset of my post. Serendipity!